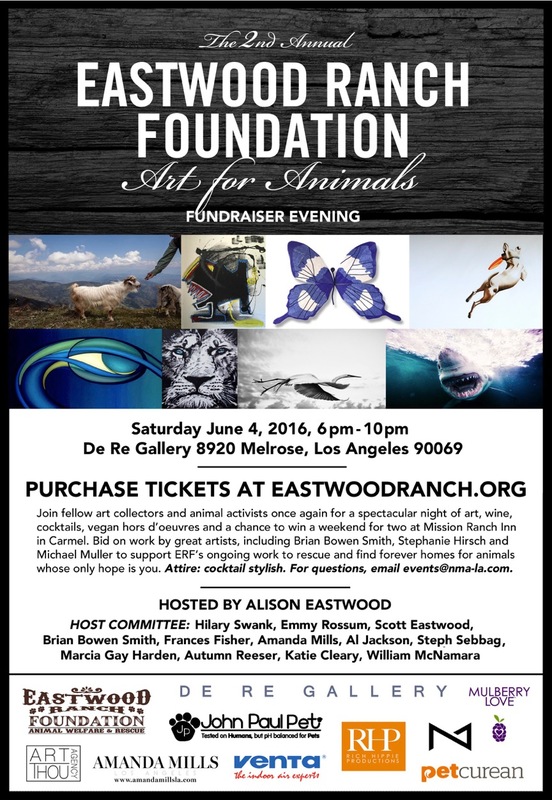 Alison Eastwood's amazing Eastwood Ranch Foundation is a non-profit animal welfare and rescue organization whose mission is to rescue animals from high-kill shelters and provide care until a loving home is found for them. 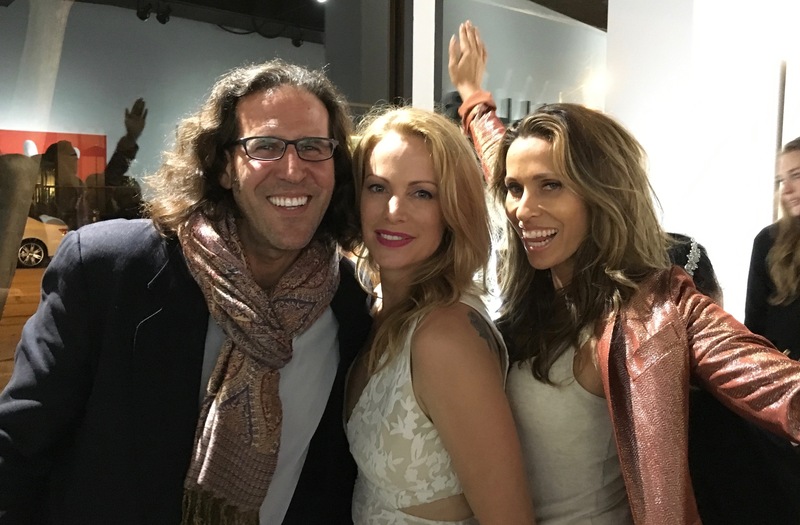 The Art for Animals fundraiser will showcase art by Brian Bowen Smith, Michael Muller, Steven Janssen and others, as well as host a silent auction to raise funds for homeless pets around the community. All proceeds will enable the Eastwood Ranch Foundation to continue to rescue animals and help raise awareness for animal welfare causes through campaigns and petitions for animal rights throughout the United States and beyond. This year's Host Committee of animal activists includes Hilary Swank, Emmy Possum, Scott Eastwood, Autumn Reeser, Frances Fisher, Brian Bowen Smith, Steph Sebbag, Marcia Gay Harden, William McNamara, Katie Cleary, Al Jackson and Amanda Mills. 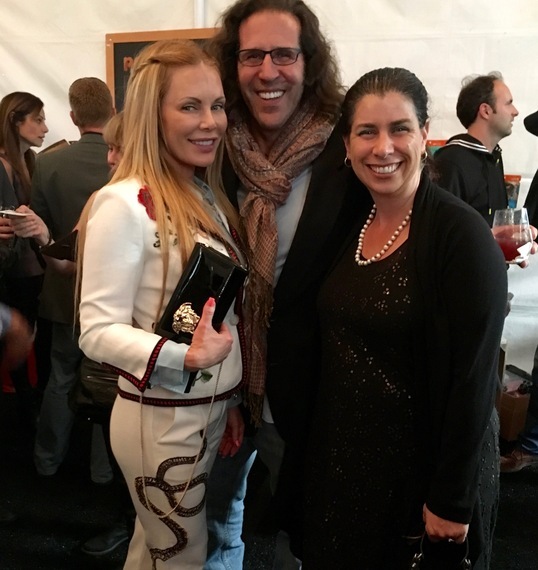 Alison told me, "We are so honored to be able to help animals in need and do our part to rescue homeless pets. It's only through the generosity of our community that we can do this needed work and we appreciate your support!"